California counts pensions as part of your income for tax purposes, but only if you live in the state. 3. Can I Be a Resident of Utah but Work in Texas and Not Pay State Income Taxes? 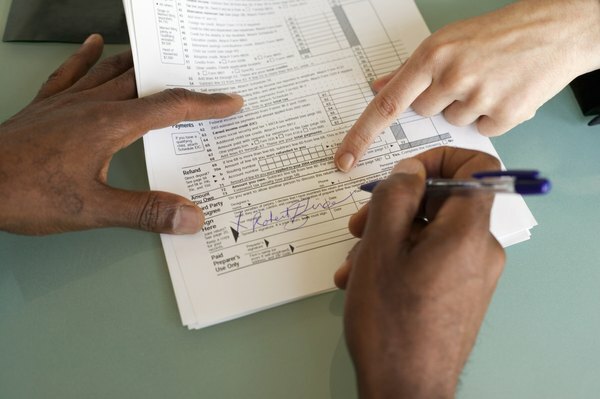 Failing to file a tax return or pay taxes when they're due can trigger stiff penalties. Unfortunately, variations in tax laws between the states can make it difficult to figure out where you have to file, especially if you receive income from a state you no longer live in. While federal law prevents California and other states from taxing pension income of non-residents, you may have to pay taxes on this income to any states you reside in for at least part of the year. On Jan. 10, 1996, P.L. 104-95 took effect. This federal law prohibits any state from taxing pension income of non-residents, even if the pension was earned within the state. Before the passage of this law, California, New York and several other states maintained a source tax on pension earned within the state. For example, a California teacher who retired to Nevada would have to continue paying the source tax on her California pension. Thanks to this law, people who earn a pension in California then move out of the state no longer have to pay taxes on these funds to California. If you receive a California pension but you are not a resident of California, you may still have to pay taxes on this income to your state of residence or the federal government. Alabama, Alaska, Florida, Mississippi, New Hampshire, Nevada, Pennsylvania, South Dakota, Tennessee, Texas, Washington and Wyoming either do not have a state income tax or do not tax pension income, so your California pension won't be taxed if you live in one of these states. Many other states offer special exclusions for pension income to help retirees save money. Check with your state department of revenue or taxation for more information. If you maintain a part-time residence in California and live part of the year in another state, you may have to pay taxes on your pension in both states. For example, if you live in California for six months and spend the other six months in Vermont, you would owe taxes to both states. To calculate how much tax you'll pay on your pension income in California, divide your pension income by two, then multiply by the applicable tax rate for your income bracket. If you lived in California for eight months out of the year, you would owe taxes on two-thirds of your pension income to the state of California. California is one of five states that provides no special exclusions on relief for pension income at tax time, according to U.S. News and World Report. That means residents of the Golden State have to pay taxes on both California pension income and income from other sources, including any out-of-state pensions. In 2010, legislators in California reviewed a bill known as the "McCauley Pension Recovery Act." This bill proposed an excise tax on California pensions for retirees who moved out of state. This tax would apply only to employer contributions, not employee contributions to the pension. The McCauley Act did not make it out of the proposal stage and was never signed into law.